The City of Cassville is moving forward with plans to reconstruct the 7th Street bridge by the park and Greenway trail. Massive flooding in the area made the bridge inoperable since 2017. Since the Spring of 2017, 7th Street in Cassville has been incomplete. 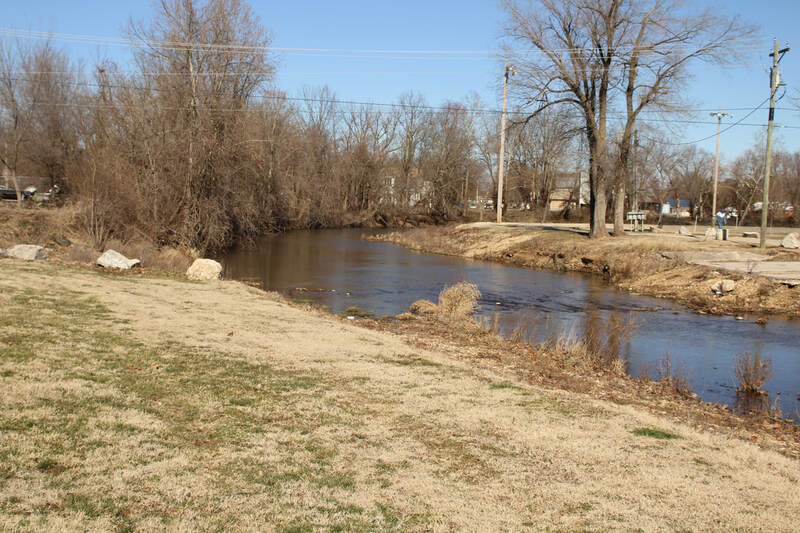 Before 2017, Seventh Street had a bridge that ran over Flat Creek and connected downtown Cassville directly to the park. Years of flood damage led the city to demolish the bridge after years of service. Now, plans to reconstruct the bridge have been put in motion at City Hall. The city already has an open claim with FEMA and SEMA that began in 2015 when the structure was damaged and nearly impassable due to flooding. Now, after it was demolished nearly two years ago, the city has begun the process of using that open claim to rebuild the bridge. David Brock, Public Works Director for the City of Cassville stated that the bridge is a crucial bit of roadway and being without it has made navigating difficult for some. City Hall already has a timeline in place for the construction of the bridge. Construction of a new bridge isn’t a certainty yet, however. To begin the project, the city will have to work with FEMA and SEMA to expand the scope of the city’s claim in order to receive the bulk of the funding needed for the project. “We are expecting to call for bids in February or early March with construction completed by late summer,” said Brock. In order to accomplish this, city engineers have drafted significant changes to the original design of the bridge. Brock explained that this new design would function much like the old one but would be built to better accommodate flooding. Other design options were considered but, ultimately scrapped due to their high cost. The biggest change to the bridge would not be in the way that it moves water around and under it but, in the makeup of the bridge itself. Brock explained that the project is contingent on that change in scope, otherwise the bridge would be susceptible to the same kind of flooding damage that destroyed it previously. City engineers have already mapped out and designed the changes needed to make the structure more solid. With the FEMA/SEMA funding, the projected cost for the city is relatively low. The project would not require any further funding from the people of Cassville, as the City’s expected portion of the cost has already been made a part of the yearly budget. The city expects there to be some temporary inconveniences brought on by the project, but nothing that would impact citizen’s ability to enjoy the public park during construction. Should the FEMA funding for the project not come through, the City is ready with a back up plan that will still see improvements made to the park. “If the change in scope is not approved by FEMA/SEMA, the claim monies could be used to improve the entrance to the downtown park off of Highway 248,” said Brock.